Join Karl Palachuk and Amy Luby in Nashville on March 29th. Sign up now for the big Nashville Pre-Day Event. This event is being held on the site of the Autotask Community gathering, but you do not have to be an Autotask user or conference attendee. We all work projects. But do we all work them profitably and efficiently? Whether you're 100% managed service or just getting started, come and learn the most important elements of keeping project labor on the "billable" side of the ledger. Learn how to keep your staff efficient and your service desk profitable through process efficiencies and workflow management. As a special bonus for attending, you’ll receive MSPSN’s NOC Support Playbook and documentation which is what MSPSN uses internally to keep our Virtual Service Desk efficient and profitable. Join one of the authors of The Network Migration Workbook forn introduction to SBS Migration that will make your business more profitable and your clients a lot happier. 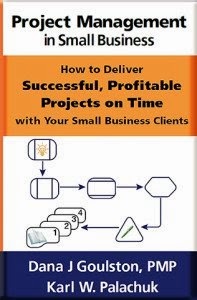 1) Every attendee will receive a free audio program from SMB Books. 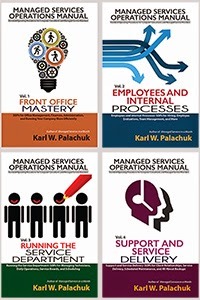 2) Every attendee will receive a free copy of MSPSN’s NOC Support Playbook and documentation which is what MSPSN uses internally to keep our Virtual Service Desk efficient and profitable. Only $99 at the door . . .
ONLY $29.95 when you register online. Visit http://www.smbbooks.com/ for great books and other resources.